When I think about my last purchase, it wasn’t a random decision. I knew what I was looking for and I knew I didn’t want to spend the time driving into the city, paying for parking, going from store-to-store to see if they carry the item, comparing prices and then waiting in line to pay. Before I began searching for my product, I knew that I would buy it in the comfort of my apartment with my tablet through an online ecommerce store. But, from which one? The ecommerce store that gained the highest level of my trust. With ecommerce shopping, customers don’t get to hold the product, test the functionality and inspect it for defects. Instead, ecommerce merchants must convince the customer to place their trust in the product and also the company, specially foreign ones. Customer trust plays a large role in the purchasing decision matrix. As you enter or expand into new markets, let’s discuss the importance of building a brand that develops customer trust! We can all think of brands in which we trust. They are brands in which we would purchase from again, that we would buy to give as special gifts and that we willingly recommend to friends and family. You want to be this type of successful business as you expand globally. Create customer champions to market for you! Trust is always an important aspect to incorporate when strategizing on how to build a successful business. Often times, we assume that trust can be developed on its own. However, just like a friendship, it takes time, dedication and continuous engagement. The benefits of trust marketing is valued by customers worldwide. Prospective consumers are concerned with receiving answers and feeling comfortable with the following five areas. As the ecommerce merchant, you have the ability to design strategies and support mechanisms to help the customer find these answers easily, aiding them to trust in your reputation. So, let’s explore how to be a leader in building trust with customers. Eight specific strategies have been prepared to jumpstart your brand trust development as you expand internationally! Speak to your audience and be understood: Have your website content translated by a native speaker who understands the culture, current aspects of cultural sensitivity and pop culture references or a professional marketing agency from the nation in which you plan to enter. Time and time again, translations through Google Translate and other online softwares have proven to not be enough to reach local markets. Be a brand they can relate to: Customers want to hear from you, they want to receive updates, be the first to know about promotions and be asked for their opinion. Achieve this by creating marketing strategies that are relevant to the consumer and speak to their interests and needs. Producing this content in their native language is the only way to reach 100% of the market. 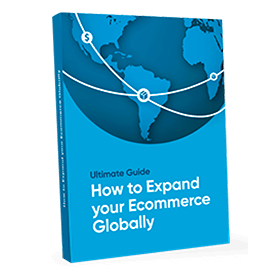 Check more tips for international ecommerce marketing by accessing our article How to Use Geomarketing to Reach International Customers. Be proactive and available at all hours: Set the tone and be able to respond to your customers when they need you the most. When an email or chat message sits unanswered, customers may decide not to wait and purchase from a competitor. Manage all communication channels and keep in mind that consumers try to connect with businesses in many different ways. Stand out as you develop a positive reputation: Take initiative to be a company that over delivers. Customers are used to being let down and are weary until they have a positive experience. Use this to your advantage to pleasantly surprise the customer. Simple personalization touches, added rewards, a small free product, discount codes, upgraded delivery services – they all do the trick! Acceptance, response and targeted improvements: Welcome ecommerce reviews from all customers regardless of the anticipated occasional negative feedback. Utilize the positive feedback to continue doing what is working best and constructively leverage negative feedback to improve product aspects and services. With the help of your loyal customers raise your profile: Create content that encourages engagement with social media and email marketing campaigns. Incentivise their contributions to develop product reviews with useful tips and comment on blog posts and videos. Don’t forget to reply to their comments! Creating a dialogue helps in developing a direct relationship and increases feelings of familiarity and trust. Learn more on how to promote engagement by reading our article How Online Marketing Can Help Your Ecommerce. Serve as a reference and provide customers with advice: As you develop content to engage customers with new products and services, be sure to also assert yourself as an industry expert, a market thought leader and as an authority within the field. Presenting content that creates brand relevance bridges promoting your product by also showcasing that you want your customers to find the best solutions for their needs. Raise and maintain customer trust: Reward those who are loyal to your brand. Launching a loyalty marketing program has been proven to be one of the most cost-effective ways to increase revenue. Being loyal to a brand exudes a commitment of trust. Loyalty marketing increases the lifetime value of customers, helps to build even stronger relationships, develops brand supporters and protects you against reasonable price competition. Combining all of these strategies will enable you to have a strong reputation that will empower new customers to trust your brand. However, it is understandable that not all cross-border ecommerce merchants will have the time or the staffing resources to begin developing a positive reputation with such a robust trust marketing strategy. Starting with as many elements as possible will still help in building trust. When possible, continue on the path to incorporating them all to be a trust front-runner within your newest international market. Building customer trust is a process. Ecommerce businesses that believe every customer matters and is valued are paving their road to successful sales. Don’t wait for trust to be developed, be proactive and engage in this market strategy.